The Milton Police Department reportedly received accounts of stumbling and disoriented raccoons at least twice in the last week, and locals worried the raccoons might have rabies. But those suspicions were evidently wrong, according to the department. The raccoons in question—including one who was identified by police as Dallas—had reportedly gotten wasted by eating some fermented crab apples. Both raccoons have been safely collected and dropped off in the woods. The department noted that if you happen to stumble upon one of these drunk idiots, you should not approach them. Call the city’s non-emergency line and they’ll come to collect the bombed raccoon themselves. More evidence of animal kingdom’s proclivity for getting loaded is absolutely the palate cleanser we needed this week. Updated 11/15/18, 5:30pm ET: Speaking with Gizmodo by phone on Thursday, a representative for the Milton Police Department said it has now captured three raccoons and that two of them may have distemper. 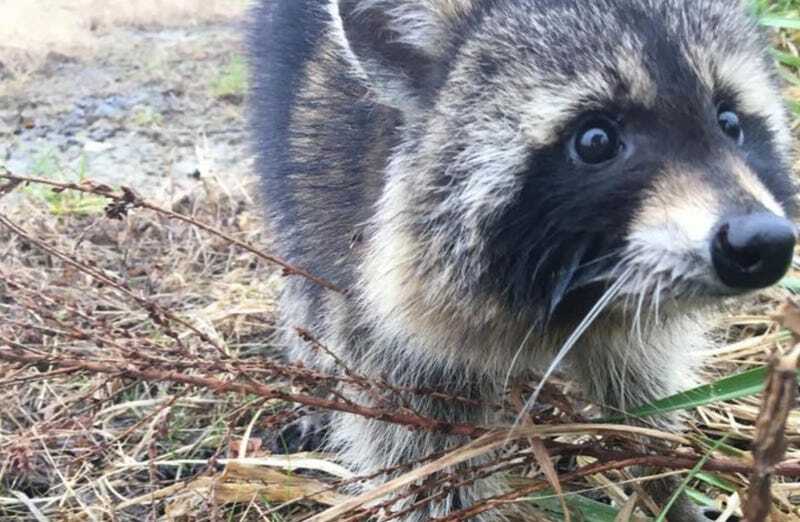 While all three raccoons were captured within 500 yards of each other, the department said that one of the first two raccoons was later discovered to be extremely ill and hadn’t moved more than several feet from where it was dropped off days before. Do Wild Animals Get Drunk and High On Purpose?